3. Posts in bounty thread will not count. Posts in Bounties (incl. your reports in other bounties) won’t be counted. 1. Your Facebook account must have at least 500 followers. Number of friends will be fixed at the beginning of campaign and could not be changed during the campaign. 5. All posts must be in English. 8. You cannot remove posts, likes or reposts you made during this bounty campaign or unfollow our Facebook account until its end plus one week. 1. 1 post about UBEX (10 words min) with a link to the official website and hashtag #UbexAI – 1 Stake. 2. 1 like + 1 repost from UBEX official page on Facebook – 1 Stake. 6. All tweets must be in English. 8. You must make at least 10 retweets overall (over the course of the whole campaign), only from (tweeted by) our official Twitter account. 9. You cannot remove tweets or retweets you made during this bounty campaign or unfollow our Twitter account until its end plus one week. This will make sure you quickly pass all checks. 1. 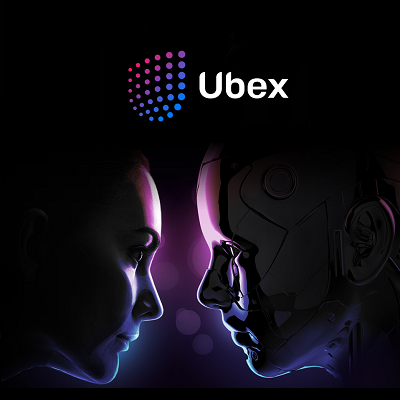 1 tweet about Ubex (10 words min) with a link to the official website and hashtag #UbexAI – 1 Stake. 2. 1 like+retweet of 1 Ubex tweet – 1 Stake. 3. To receive the extra 1 stake per message, you will have to report here under Bounty thread as is the case with Facebook & Twitter (right click on your message/post and copy the link). 5. To receive the extra reward, provide the links to your Telegram messages in a post in bounty thread in Bitcointalk Forum according to the timeline. 6. Posts MUST be made in OTHER relevant Telegram Groups. 2. 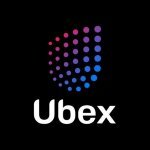 Follow UBEX official page on Reddit. 4. You must make at least 10 comments overall (during the whole campaign). 6. Posts must be constructive and on-topic. Spam, low-quality posts, copypaste, and off-topic posts are strictly prohibited. Users found doing so will be immediately and permanently disqualified from all bounty activities. 2. You must have work experience as a translator in other bounty programs (links to your previous works). 3. Translate the original ANN post on Bitcointalk. 4. Post the translation to the local forum on Bitcointalk in your language starting a local thread about UBEX. 6. Update it upon our request, publish official news as they are out (no less than 1 per week), moderate the discussion (including answering questions regarding the new post (thread) within 24 hours max). 1. We are looking for bloggers, journalists, and video content creators who are willing to write about UBEX project and upcoming token sale. All content should be unique and original. 2. For video bloggers (youtubers) - you must have at least 1500 subscribers on your Youtube channel where you’re going to publish content. Video should be 3+ minutes long. 3. For written content makers - articles must be posted on platforms/websites with minimum 2000 daily visitors. 4. You should include website link https://www.ubex.com and Telegram group https://t.me/UbexAI to every video or article. 4. To make valid content, posts must contain hashtag #UbexAI, 300+ words. Posts with less than the valid number of words will not qualify. 5. The posts must not be removed from your personal page until the end of the bounty campaign. The posts must be public. 6. You must be the owner of the LinkedIn accounts you will use and must be original. Fake, dead, inactive, and bot accounts will not be accepted.